Register Today for the Novel Technologies, Techniques and Methods for Safeguards and Arms Control Verification Workshop! Hosted by the INMM Southwest Regional Chapter, INMM International Safeguards Technical Division and the INMM Nonproliferation & Arms Control Technical Division. Registration Deadline for Foreign National participants is approaching on June 28, 2017! 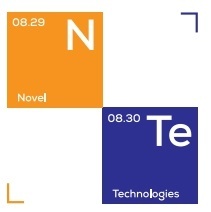 Learn more about the Novel Technologies Workshop. Abstracts are to be submitted by June 30, 2017, 17:00 EST to swinmm@sandia.gov. Click here to download important information.